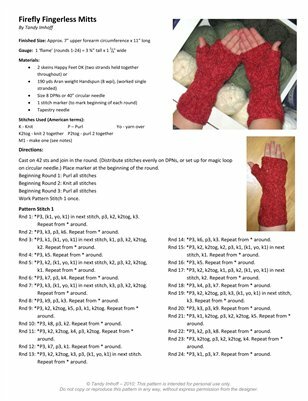 A wonderful pattern for knitted fingerless gloves. Includes instructions for both DK and Handspun Aran weigh yarns. These gloves will fly off your needles with size 8 (5.0 mm) needles.